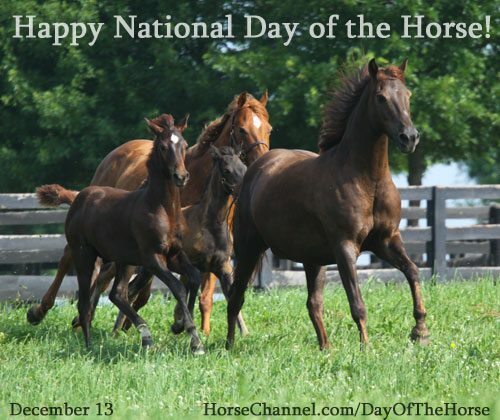 In 2004, Congress passed a resolution recognizing the contributions of the horse to “the economy, history and character of the United States.” In honor of this, they declared December 13 as National Day of the Horse. 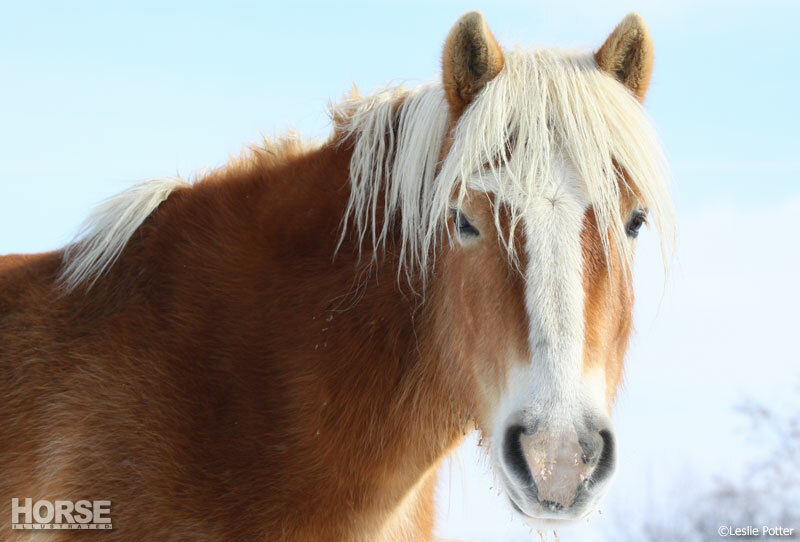 For this year’s celebration, we asked our Facebook fans to tell us how horses have made their lives better. Here are some of their responses. Have something to add? Contribute to the discussion on our Facebook page or click “Submit a Comment” below and share your story. My rescue horses have ironically rescued me! I never knew how much my heart needed mending until I poured it all into saving their souls. Horses have been the best teachers. They have taught me to trust, to try new things, to be confident, to take responsibility, and how to love unconditionally. They have taught me more than I could ever hope to teach them. I started riding in the 60s, which led to shoeing and a career in rodeo and working and owning Thoroughbreds. It all started with a Paint. What a ride. Ellie is the first horse I’ve owned. I got her in July. Before her, I was depressed. Ever since my first deployment in 2009 I’d been in a slump. She has taught me so much in these few months, and going into my third deployment, I’m looking at in a different way. I’m more positive about everything and more forgiving. I love spending time with her because all my worries fade away. No matter has had or what’s about to happen that day she makes me smile and makes me enjoy everything in my life. When I come outside, my horses run to the fence and nicker. Sometimes it’s just the rippling of the nostrils wanting me to come over and see them. It’s one of the things that makes me get up every day knowing they are there just waiting for me to come outside! Horses brought my wife into my life. We were having vacation bible school at our church and her mom, dad and brother brought two horses for our kickoff. I talked to her mom and dad for a while and the next night, I met my future bride at church due to horses. If it hadn’t been for them having horses I never would have met her. I had always loved horses since I was a child, but now I owe them a great deal because they introduced me to my beautiful wife. Guess that’s why I don’t mind spoiling them. They are worth every penny. When I was little I asked the tooth fairy to tie a horse to our back porch rather than receive money. I waited 39 years until I got my first horse, a rescue. As we both were considered “green” we have learned together. He makes me smile, cry and laugh. I can’t imagine life without him. It was worth the wait. I’m at the age that I can appreciate his strength and our determination to work together to create a safe and amazing ride, a ride that will last a lifetime. Horses are like teachers to me. They have taught me life lessons I would never find anywhere else. They have taught me patience, courage, responsibility, the value of hard work, determination, but most of them all the importance of love. I rescued Kimber on my 50th birthday 1 1/2 year ago. I now have 3 horses with 3 different horsenalities! They have taught me so much not just about them but about myself. I’ve improved my patience and ability to read others. They are my stress reliever, my therapist—mental and physical—and most of all my BFFs. They keep me learning and loving! They are my light! My horse, Lady, came into my life when I was 9. I joined 4-H, showing and growing for the next 9 years, holding every office from refreshment chair to president. Being an only child, Lady was my sister, my best friend, my confidant. I became interested in animal science and moved from Illinois to Colorado and graduated from CSU. I then was looking for a place to live where I could bring Lady with me. I moved into a home where I met my husband. I realized my dream to watch Lady live out her days on pasture. At the age of 32 she went to join her maker. That same year I gave birth to my precious daughter who has an incredible gift with horses. Without the 27 years with Lady, I would not be married to my wonderful husband or have my precious daughter. I also wouldn’t be on the mission to develop a non-profit for senior horses. Lady and I will always be connected and I will forever be grateful for her! As well as connecting me with a large community of kind generous people, my horses have made me a better person. They have taught me to love selflessly, how to lose with grace, how to win with humility, and most of all, to listen and enjoy silence, because they can feel, understand, love, and forgive, all without saying a word. 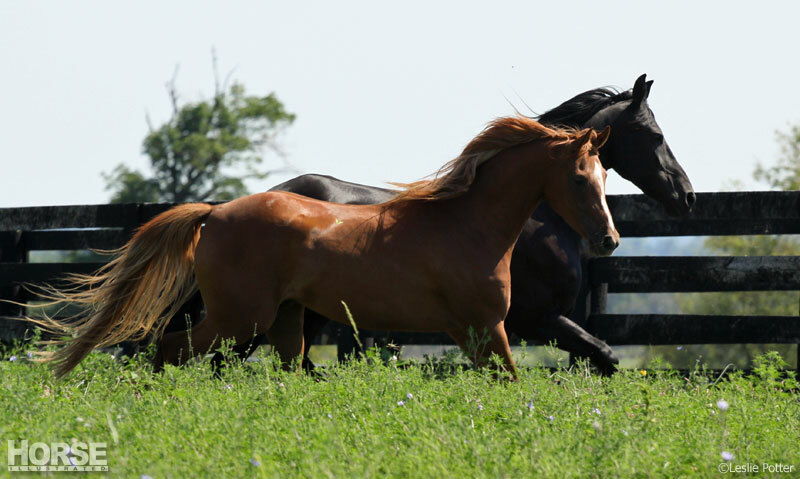 Some amazing stories of how horses have changed our lives. Without horses there would not be an America they built this country they should be honored. I don’t know what I would do without getting up and not seeing my 3 babies at the barn wanting to be fed both food and affection. They give us thier unconditional love !! I’ve wanted a horse since I was 7 yrs old. I finally got my ‘Black Beauty’ at 57 yrs old! I rescued him last July, I found out how much I needed rescuing from my PTSD. He taught me how to trust, lower my energy and love unconditionally. Even my friends notice a difference in me! It’s all because of him horse 🙂 I love to spend time with him, I learn so much about life from him. Horses truly are a reflection of ourselves. Horses have changed my life by making it more meaningful, exciting, and allowing me to become the person I am today. Each horse is so different, and they teach you different things about yourself that you yourself never knew. About a year and a half ago, I rode a 16.3, claustrophobic, OTTB. I gave him my trust, and in return he gave me the ability to learn, and to become a more trusting person. Now I ride a mare named Cassie, and I am finally moving up to training level dressage, a goal I have been working towards with multiple horses, I just never had the right one. I will be ever thankful for the horses that have allowed me to gain such wonderful life lessons, and I will never forget any of them. Horse’s are our therapist, babysitters, work partner, they are not for eating. Work hard with your represetatives to keep horse slaughter from starting again and to stop transporting of horse’s out of the USA, for slaughter. My first horse changed my life completely. Her name was Amber and she lived to be 31 years old – she died on my birthday this year. Amber taught me everything I know today – trust, honesty, how to keep secrets, how to be myself, standing up for what is right,love,friendship, teamwork, etc. She taught me everything in such a short time at the age of 6 to 7 years old. We moved and Amber could not go with us – she was too old and would not be able to survive the winters here. I cried for such a long time, but I made a promise to her that I would see her again. Seven years past and this 2013 summer I was going to make that promise happen. But ever since I received the email of her passing that morning I realised she was in my heart the entire time, I was just too busy trying to see her with my own eyes that all those years she was always in my heart – guiding me in the right directions and making the right decisions. She taught me to be thankful for everything I’ve ever had and to never give up. Amber is who made me truly interested in horses and she keeps me interested and she is my rock for building my dreams on – one dream of mine to to become a horse trainer and name something after her. She was an amazing horse and none other could ever compare to how she was. My two horses I have now are 22 and used to share a pasture with her, and even when she died the morning of my birthday I still went to her old pasture mates and rode. They seemed to know it happened.